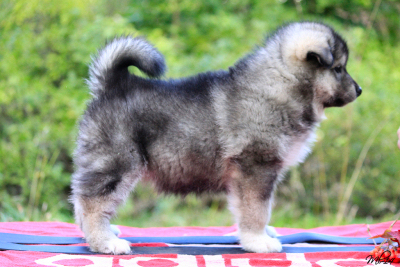 Tsaani C'enyu-litter was born 27.7.2014 and it's parents are Neatut Kadluk "Jyry" and Cahppes Miss Qrendi "Yona". C'enuy means Charming in Athna Athabascan language. Advanced thought about this litter was that parents are accompaning each other. 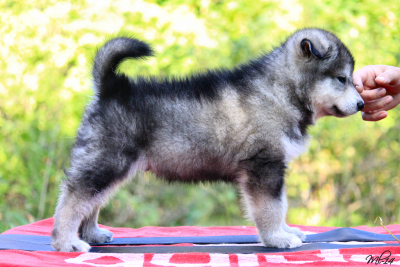 I was expecting litter to become happy, working and typey puppies with excellent temperaments. 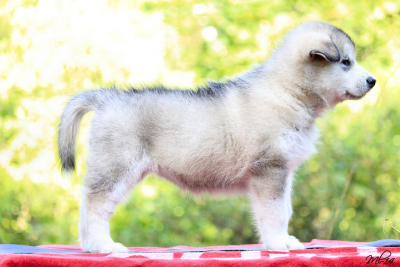 There aren't any long coated puppies to this litter. 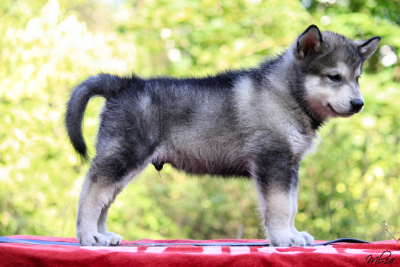 All puppies are also free from polyneuropathy-gene by parentage. 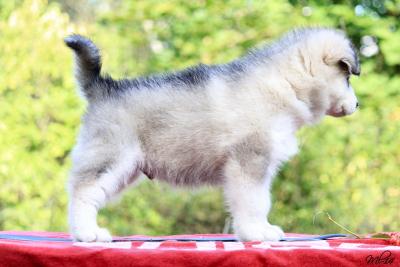 Litter's pedigree is line up to Storm Kloud malamutes. Also in Jyry's side of pedigree, there is old Sendaishi-line of which I'm very happy to have in this breeding. Litter had 6 puppies, 3 males and 3 females. 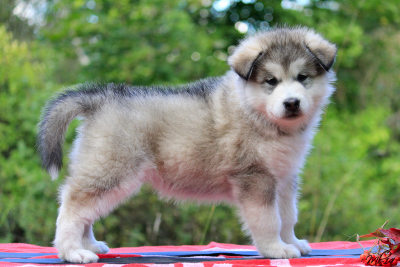 Litter is pretty even and puppies are happy, social and energetic. Future will tell more about this litter. 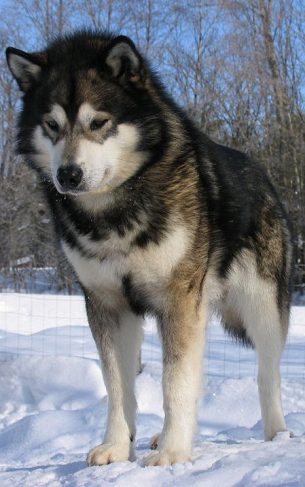 sire: Nordiclight's Thunder WPD, WTD "Thunder"
sire: C.I.B CA AM CH Sno Quest's King Of Landwood "King"
dam: SE MVA Silent Ridge Bacardi-Breeze "Breeze"
Kira lives with Jelena and Mika at Orivesi. 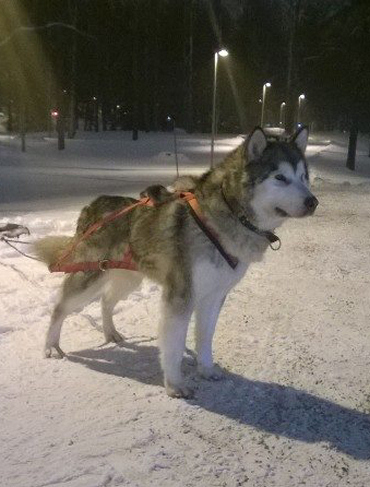 Malina lives in Jokke's pack, with her dad and 2 other malamutes. Reino lives in Sanna's family. Ricky lives with Lassi at Vieremä, in farm house. Lassi stayed at home to strenghten our own team. More about Lassi of his own page here . Vilkku stayed at home to strenghten our own team. More about Vilkku of her own page here .